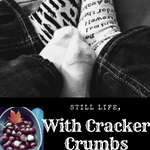 October | 2017 | Still Life, With Cracker Crumbs.. When you have a toddler, life goes on. Even on those days you don’t feel like doing a single thing, you get up, run a straight iron through your tangled hair, pull on your Converse and do what you gotta do. Halloween is my favorite holiday – I say that a lot. I want to make the holiday fun and magical for my son, so this year I went a little crazy and lined up what seems like a million fun activities to do. Saturday was definitely worth it. Our local MetroPark, Oakwoods, holds Evening Lantern Tours for people 10 and up every year, where they “haunt” the woods in the nature center. We haven’t been to that in a while, but after attending the little kids version with our little dude, we are putting it on the list for next year as a date night. We took W. to the Kids, Candy and Costumes event which was awesome. By far the cheapest activity we have been to (just $5~), it was also one of the most fun. This is a definite redo next year. I thought it was very well done and the kids loved tromping through the woods in their costumes. The following day we were at the cider mill, to meet up with cousins and kids. It was memories, as when my cousins and I were children, we all went to this particular cider mill together, a and would carve pumpkins and each chili afterwards. Now we are all grown up, with our own kids, so it was cool to be able to continue the tradition. It was hot as midsummer that day too – I even got a sunburn. However the weather the rest of this week has been dreary- but fall! Last week my grandmother passed away, in the wee early hours of the morning. She was an amazing lady, who was a tiny little force to be reckoned with, wrapped up in a five foot tall package. She was independent, fierce, with a sly, quick wit. She was generous, and kind, and never let you leave her house without at least something to take with you, from a cookie to a magazine to who knows what. You were not allowed to leave empty-handed. Creative and artistic, she painted, made things with stained glass, drew, knitted hats for children who had no warm clothes, knitted hats for my own child. She was a spitfire, who probably taught me how to swear, and she never backed down from a fight. She could cook up a storm, and made the best rice pudding. I remember winters, sitting in her kitchen, steam heating the room and fogging the windows, and being served creamy delicious rice pudding that she had made. It is one of those flavors that take you back in time, like Proust’s Madelines. She loved lemon meringue, and lemon flavored desserts, just like me, and my brother, and my son. We like things tart, I guess. Her name was Marion, and she was my last remaining grandparent. I should feel blessed that I am the age I am now, just now losing my last grandparent. And I do. But you are never ready. And my grandma had a sense of invincibility about her. It is the first time I have had to grieve, while caring for a child. I got the news on Friday, and then was alone all day with my son. It’s hard to be heartbroken and care for a child. In reverse though, it’s hard to be heartbroken and care for a child. Does that make sense? It was hard, but at the same time, being around my son made it a little easier, with his sunny smile. He is only 2, and won’t remember her, like I remember my great-grandma and great-grandpa. That will be up to me. And my brother and my father and my mother and stepmother, my cousin and aunt, to share our stories. And goodness knows, there are enough of them. She had a lot of living in her life, and many stories to share. I will miss her terribly. Lately, I haven’t written much here. I sit down to write, but first I usually scan Facebook. Then honestly, I get too depressed to say anything. My stuff just seems so trivial, so little in the scope of what is happening around the world and United States – devastating fires, hurricanes, earthquakes. Shootings. Where does my little post about what we all did over the weekend, or what I read, or what we ate fit. And then I thought, it is like everything else. We grieve. We try to make things better where we can. And we live our lives. That’s all we can do. So, I have gotten back to being me, being us. Celebrating life, this world and its wonders. Because amazing things happen amongst the sad – like that woman who biked her way out of the California fires, with her 70 pound dog in her duffel bag. That was some serious grit and determination, and love. All love for that dog. She wasn’t a big woman by any means, but she and her dog got to safety – on a bicycle. Like I said, just dang amazing. Our family spent the weekend celebrating the Halloween season. It’s my favorite time of the year, and now with a two year old, I am even more excited about it. We started off the weekend festivities Saturday night, when we went to the Detroit Zoo Boo. It was rainy but not too terrible, and it did not stop us from having a good time. My son was all smiles in his adorable skunk costume, loving every minute of the night. I was soaking wet, but I didn’t care. (He wanted to be carried by his father so, dad got the umbrella with the baby. I really need to add another umbrella to my shopping list so we have more than one!) They had some fun entertainers at the end of the trail, people performing with flaming batons and magicians and bands and music – it was a good time. Plus, I got to eat some candy. Lol. The next day we were off and running again, this time to the apple orchard, a time honored Michigan fall tradition. This is a Midwest thing I found out, or at least it is not a widespread United States thing, which makes sense. Going to the cider mill in the fall is one of my favorite things we do all year – and we had awesome autumn weather. Blustery, gray, windy, rainy – at one point my son and I were sitting on the wide front porch of the shop, eating donuts, when a crazy strong gust of wind practically blew us off of the porch. We just laughed in the face of that wind! Before we had the boy, we searched for a cider mill without the gimmicks, and found our perfect one – Bennett’s Orchard. Simple, great prices, great products. There are no bounce houses, bands, or booths of vend, which is fine if that is what you like. For us though, it is all about the locally grown and made products. Pumpkins, jam, doughnuts, honey, popcorn, and .. for parents .. hard cider, made on site. By law they can only serve three tastings per person, so my husband and I got different flavors and tried each others, splitting them. We have different palettes apparently – he really liked the crisp apple that had strong cinnamon flavor to it, while I liked the more tart ciders. We both agreed though, that the elderberry shine was so good that we had to buy a howler to come home with us. Perfect for around the bonfire. We had a great rainy day weekend, spent outdoors. Remembering what is important about life. Family, experiences, making moments and memories.